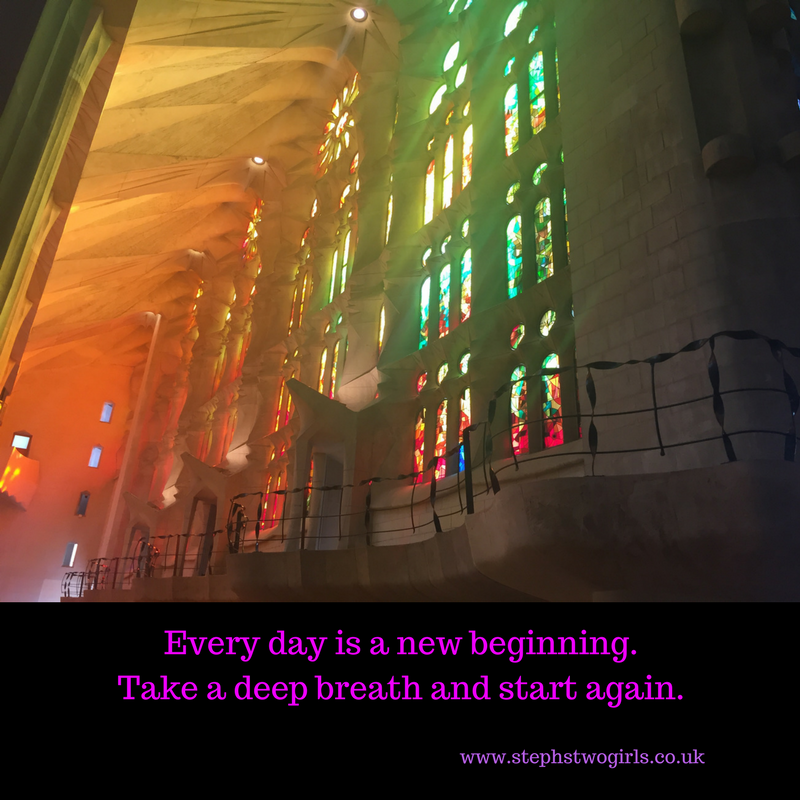 The eagle eyed among you may have noticed that I missed last Monday's Motivation post... it was the start of a full-on week and I just couldn't manage to squeeze it in. Now that week is behind me I can breathe again, and try and enjoy the half-term break with my two girls. I was extremely lucky to be able to get away from it all with two great friends last weekend, and this photo was taken in the magnificent Sagrada Familia in Barcelona. I'm sure these words will be relevant for many parents of children who face extra challenges. There were some great posts linked up last week, and I'd like to share two in particular with you. First, a poem from Rhyming Mum about why we shouldn't always feel like failures and we should realise that others are going through struggles too. On the same kind of vein, Deb at Chaos in Kent explains why we should speak more kindly to ourselves. Definitely two posts I will keep in mind over the coming weeks!